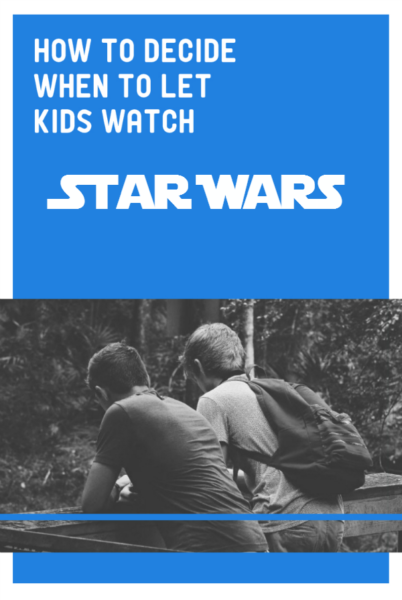 What's the Right Age to Let Kids Watch Star Wars? There seems to be an unwritten rule for computer geeks, that we must love Star Wars or Star Trek, or both. I’m not a huge trekkie, though I’m fascinated by the Trek phenomenon. I am, however, a huge fan of the original three Star Wars movies. Naturally, I looked forward to sharing these movies with my kids. My older daughter, despite showing many signs of being a computer geek in the making, had no interest in viewing the Star Wars movies. My younger daughter, however, did show an interest, and I had to decide when she was old enough to watch the original three Star Wars movies. Keep in mind that the PG-13 rating didn’t exist when “A New Hope,” “The Empire Strikes Back” and Return of the Jedi” came out. All three were rated PG. Nowadays, many movies aimed at kids, such as “Shrek,” are rated PG. 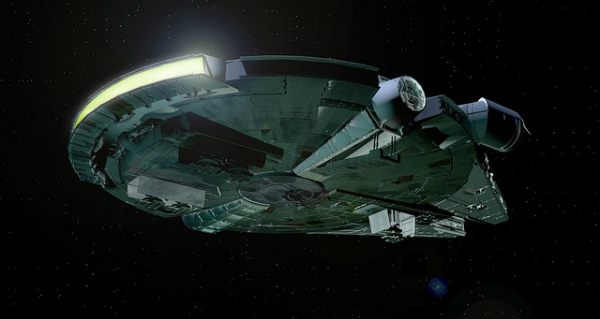 Knowing my child as I do, and having seen the original three Star Wars movies a number of times (somewhere in the double digits – each), the decision to let my then six-year-old daughter watch them wasn’t difficult. Whether a child can handle a certain movie depends largely on the child. I’d never consider letting her watch an R-rated movie, but the violence in the original Star Wars movies is largely bloodless, and the good vs. evil storyline teaches important life lessons. She probably sees worse violence in cartoons, as I did watching Bugs Bunny when I was a kid. She loved the Star Wars movies and begged to see the prequels, but I have not let her watch those. They aren’t very good movies, and they’re significantly more violent and upsetting than the original trilogy. It was a harder decision whether to take her to see “The Force Awakens,” rated PG-13. Even my then 11-year-old daughter wanted to see that one, though she hadn’t seen any other Star Wars movie. Given how much my younger daughter looked forward to seeing the new Star Wars movie, and after researching what actually happens in the film, I took both girls to see “The Force Awakens.” They enjoyed it and were not scarred for life by the violence, or even upset by it. There were lots of other kids in the movie theater, too. Plus, of the 8 or 10 trailers shown before “The Force Awakens,” nearly all of them were for family/kids’ movies. Obviously, a lot of young kids were expected to see “The Force Awakens,” despite its PG-13 rating. My girls know this was a one-time deal, though, and as a general rule, they won’t be watching PG-13 movies on a regular basis. I’d love for my now 12-year-old to watch the “Lord of the Rings” trilogy – another of my faves – and I think she’d enjoy them. However, she’ll be waiting until she’s 13 or maybe older to watch those. The answer to “what’s the right age to let kids watch Star Wars” is that it depends on the child. At 6 years old, I would have been too young to watch Star Wars. I still don’t like violent movies and generally avoid most of them. I let her watch the first four Harry Potter movies and regretted the fourth since it’s pretty intense for a small child. She’ll have to wait for the rest of the Harry Potter movies. I don’t have any plans to see the newest Star Wars movie, “Rogue One.” From what I’ve heard of it, the film seems too unsettling for me to enjoy. It’s probably a great flick, but not my kind of movie. At what age did you first see the Star Wars movies? When did you let your kids watch them? Have you seen “Rogue One”? Do you plan to take your kids to see it?